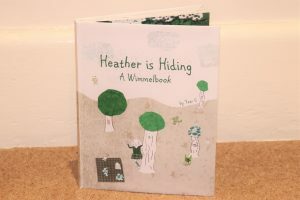 The Year 5 girls at Heatherton were thrilled to spend time with children’s author and illustrator, Rachel Quarry, creating their very own book. Heatherton pride themselves on finding creative ways to enrich learning, this project excelled in achieving this. Mrs Quarry kindly hand made this into a book and recently came into the school to present it to the children. The girls were very excited to see their work in print and it has been given pride of place in the school library.